Nikons high performance FX-format f/1.4 – Nikon AF-S NIKKOR 85mm f/1.4G – medium-telephoto lens is perfect for portraits, low-light applications offering beautiful Bokeh (background blur) and outstanding picture quality. D-SLRs DX-format D-SLR angle of view is equivalent to a focal length of 127.5mm in FX/35mm format. M/A Focus Mode Switch Enables quick changes between manual and autofocus operation. 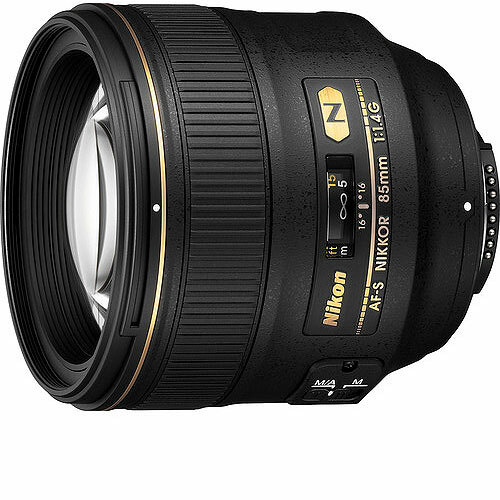 Nikon AF-S NIKKOR 85mm f/1.4G lens is available for rent or hire from RENTaCAM Sydney.